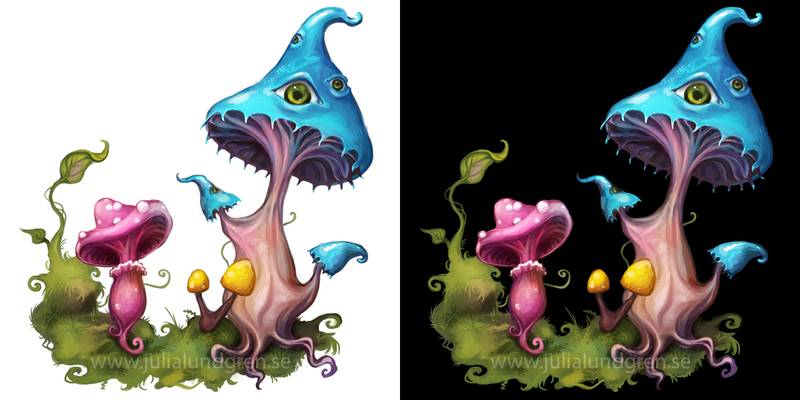 Remember the game logo with cute, magical mushrooms I did a while ago? Here's another set to accompany them! (I might make more and turn them into a set of stickers/pins..